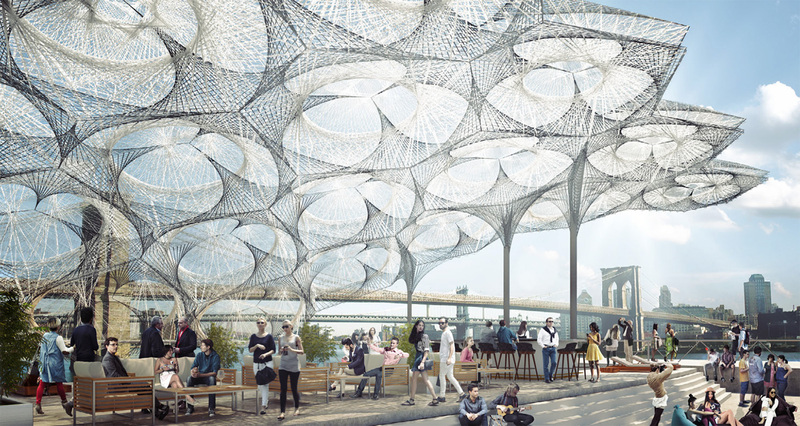 German architect Achim Menges has designed a canopy for the SHoP Architects–designed Pier 17 at the Seaport District in Manhattan. With a form derived from beetle wings, the canopy will reside on the building’s rooftop, replacing a glass pergola that had been nixed by the Landmarks Preservation Committee (LPC). Menges, who is a professor at Stuttgart University, has drawn inspiration from beetles in the past. The Elytra Filament Pavilion for London’s Victoria & Albert Museum derived its shape from “the fibrous structures of the forewing shells of flying beetles known as elytra,” and at Pier 17, his work is based around the wing casing of the potato beetle. 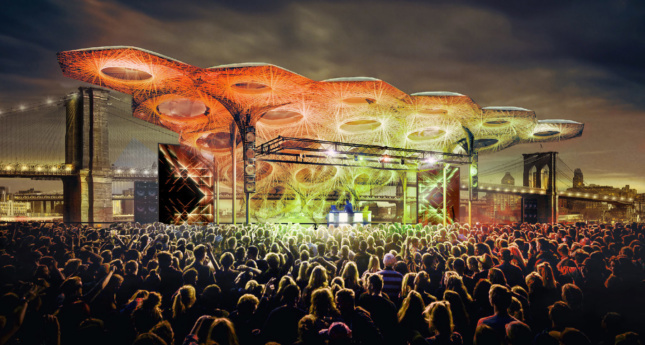 Like in London, the canopy will be robotically woven. The complex lightweight structure will be composed of glass and carbon fibers. 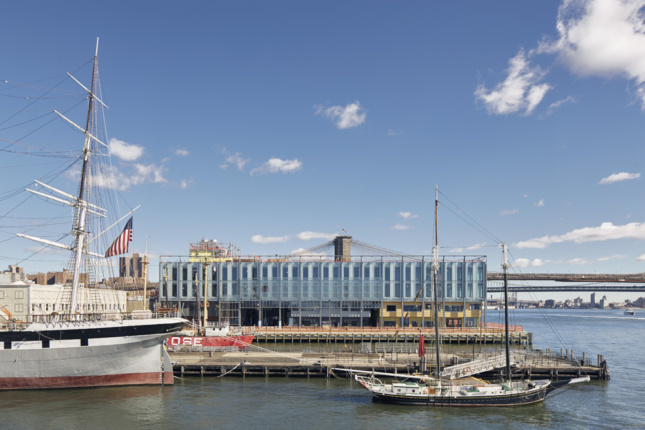 Embedded within will be lights that illuminate the structure, making it clearly visible from the water’s edge, and particularly the Brooklyn Bridge—a landmark that Menges also used to inform his design. In 2015, neighbors also voiced concerns that the pergola would block views of the Brooklyn Bridge.